ToolsDry cloth, sharp knife, Round ended stick. Ensure surface is clean, dry and free from loose material. 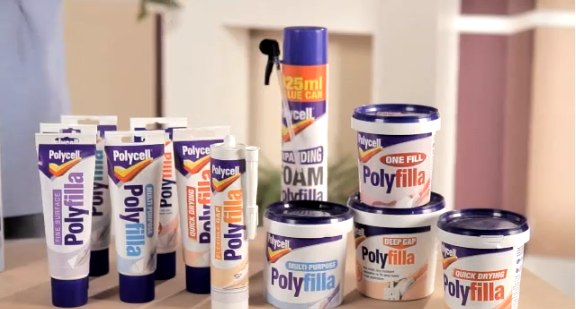 New plaster or very porous surfaces should be primed with 1 part Polycell Multi-Bond diluted with 5 parts water. Allow to dry. Remove cap then cut the top from the nozzle with a sharp knife. FOR FIXING TILES – Squeeze the tube and apply directly to the surface to be tiled in horizontal lines. Press into adhesive and continue over the area to be tiled. 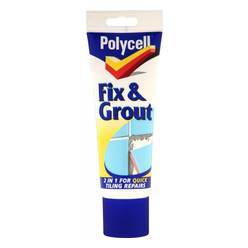 FOR GROUTING – Squeeze directly into the tile joints. Press in and smooth with a grouting tool pulled along the joints or by using a round ended stick. Leave to dry for 15 minutes. Remove excess grout with a damp cloth and finish by polishing tiles with a clean dry, cloth. Clean tools and hands with water.